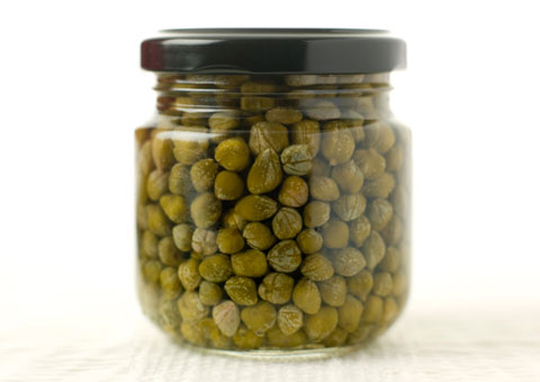 Capers pack tons of flavour, despite being the size of a small green pea. Random facts: They are the flower buds of a prickly Mediterranean shrub and are harvested by hand. Once brined, they develop an intense flavour that is at once salty, herbal and sour. If the buds are allowed to blossom and go to seed they become caper berries, which are also packed in brine and can be added to charcuterie platters or salads. Caper berries tend to be milder and sweeter than capers. The small capers are said to be the best, but the larger ones have bolder flavour. There’s the choice between vinegar or salt brined capers; vinegar ones last longer. Capers should be rinsed before using. They are particularly good with fish and other foods that tend to be oily or rich. Tossed in puttenesca or a butter sauce for chicken, they are delicious. Plus they look fabulous.